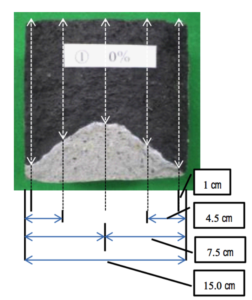 1.1.4 Permeability test result is below. FlatPlugResin (FlatPlugResin) 2000 is high-performance water reducing agent of concrete. 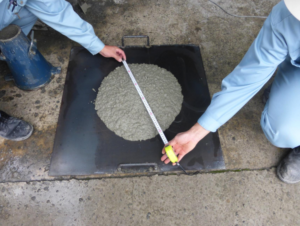 It gives high fluidity/reinforcement of concrete. FlatPlugResin2000 is a silica-based polycarboxylic acids compound. It realized the remarkable higher early strength, high density. When FlatPlugResin2000 is added in the concrete, high-performance concrete is made. It makes shortened the construction period too. 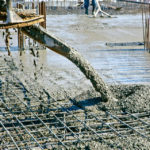 Because fluidity increases by addition of FlatPlugResin2000, the concrete can reduce quantity of addition of the water. 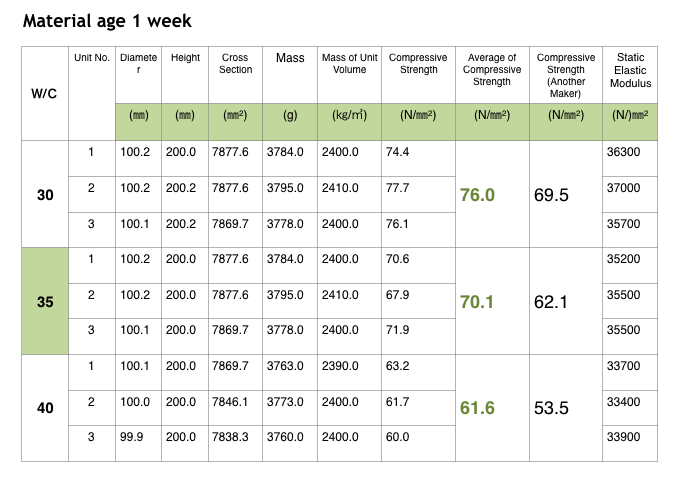 Therefore a water cement ratio (W/C) is improved, and quantity of shrinkage decreases, and strength of the concrete rises. Compare to other water refuser, FP2000 gives high durability and more resistance to crack, abrasion, permeability and corrosion. So, it is more suitable for product which is required high strength bridge, dam, tall building, require over 30N construction. FlatPlugResin2000 reduces cement quantity up to 40%……12% more than other admixtures. FlatPlugResin2000 achieves minimum compressive strength in as little as 3-7days which in generally gained 28days, thus saving more than 21days in labor cost. FlatPlugResin2000 can largely reduce consumption in comparison with a general polycarboxylic acids-based high-performance water reduction agent. Therefore it is lower-budget than a conventional construction method, and high fluidity appears. 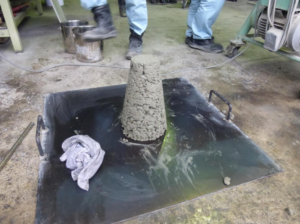 FlatPlugResin2000 is added in the ready mixed concrete and casts it after performing a high-speed turn for 2-3 minutes, and having stirred it enough. 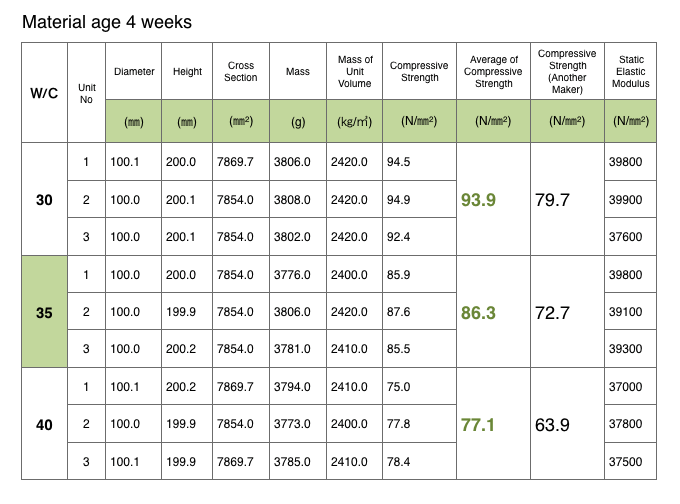 The standard consumption for cement 0.6-5% (the weight ratio). The examination stirring, please reach by all means to calculate appropriate consumption. Please calculate as some unit quantity of water. Permeability test result is below. 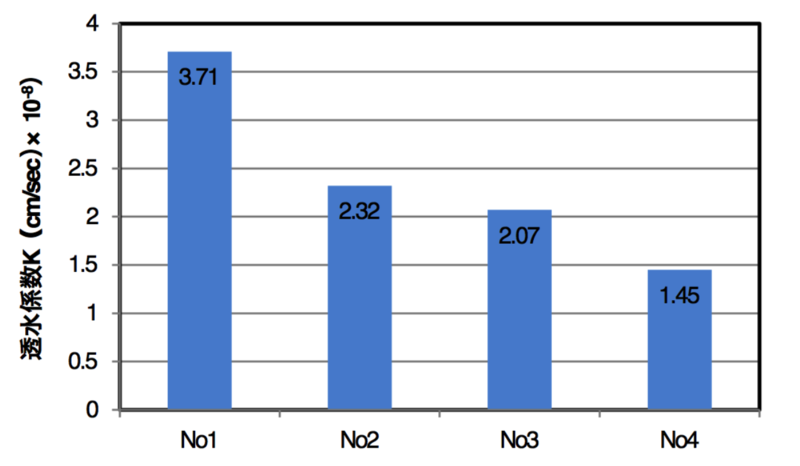 three places of values except the maximum and the minimum.